He lived in Germany for most of his early life, but he captured his most important kickboxing title for the United States. 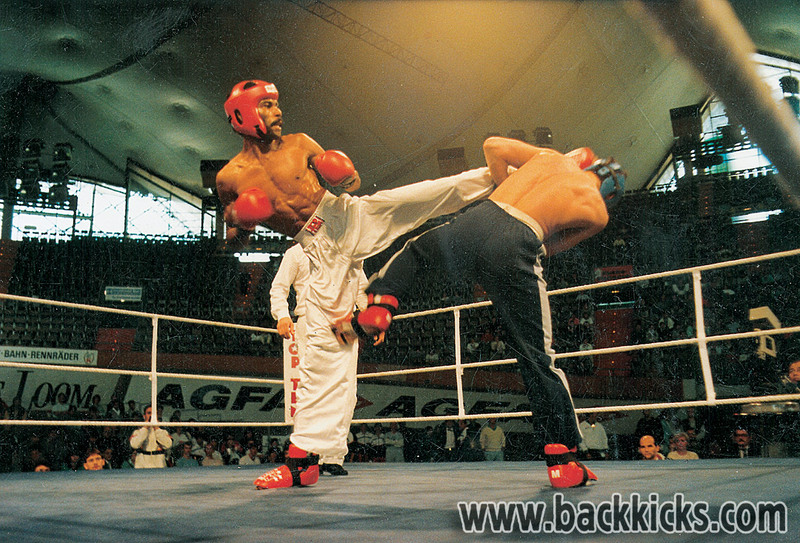 Michael Anderson won the WAKO fullcontact World Championships during the 1987 championships in Munich’s Olympic Hall. His superior kicking abilities and long reach made him untouchable during the entire tournament. This pictures shows him knocking back an opponent during his first elimination fight.